Disclaimer : If you were looking for the Dutch Penny Lane, I’m sorry to disappoint you, but no Kate Hudson here. Still, stay for a while, you’ll enjoy it. If I could sing or if I knew how to play an instrument well, I probably wouldn’t be pursuing a university education, but would be touring around with a band, playing gigs and trashing random hotel rooms. But to the joy of hotel owners, my musical abilities are indeed very poor (as any of my friends will promptly testify) and music is not an option to earn my daily bread. However, I can’t help moving my feet to the beat of a nice tune or even risk singing some lines out loud (to the despair of people around me). This is why, whenever a good concert is around, you’ll probably find me waiting in line. And in this department, the Netherlands fellow readers, seems like a giant box of miscellaneous candies, with concerts happening around for all tastes and styles. And here I do mean Netherlands, because one of the beauties of living in Leiden is that Amsterdam is only 40 min away by train and The Hague 15 min. Hence, to go to a different city, it takes what a car ride back in São Paulo would take me to get to a different neighborhood. Lucky me! 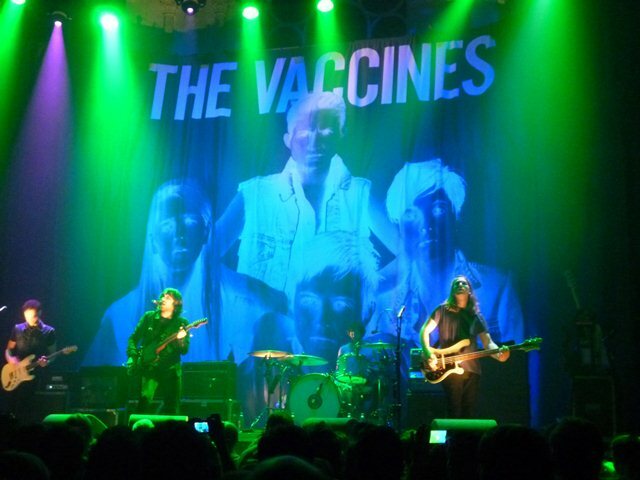 Thus, when my friend invited me to go to Amsterdam to check out The Vaccines, I felt like a happy kid eating the first (of what I hope) many candies in this box. So, an ordinary Wednesday of waking up in Leiden, having classes in The Hague ended with a great concert in Amsterdam (and of course, as in any night out, finalized with a late-night snack). However, beware rookies: In some places, apart from the ticket price, you also pay a “membership entrance fee” (which tends to be small, from 2-4 €), usually valid for a month to enter the venue. Also, bring ca$h with you, as usually you can’t pin (use your bankcard) in the venues’ bars. And with every new experience, comes a new lesson: on top of my 1,68m height, I think I’ll start bringing a box to step on in concerts. 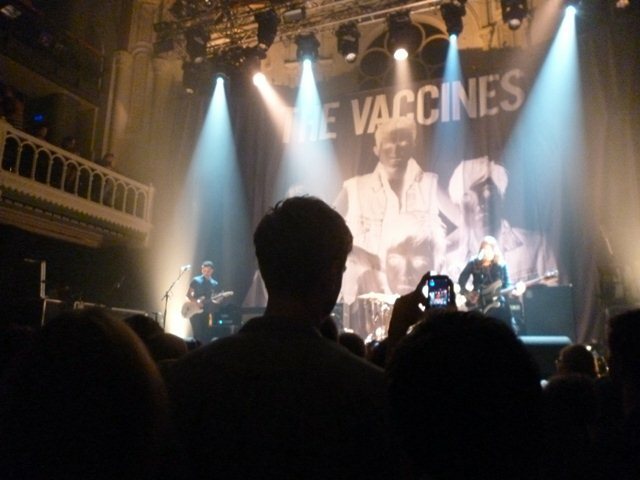 To be able to watch a concert amidst many Dutch, tall tall Dutch, has proven to be a challenging task! If you have any other suggestions, please share with us! 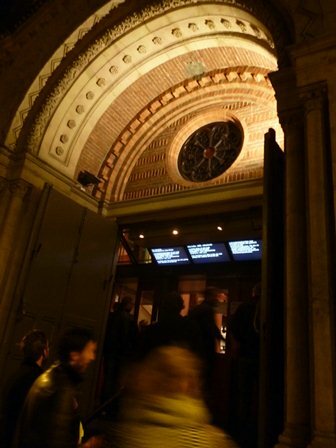 Interetesing places in Amsterdam are Melkweg , Heineken Music Hall and Paradiso. The Hague also has nice places, such as Paard van Troje or Supermarkt, definitely not your regular supermarket. Also until the 21st, you have the Haagse Pop Week , with many bands playing around! And of course, I could not leave our lovely Leiden out: LVC , Scheltema and Twee Spieghels are some of the places with live bands and concerts, all offering a great option of a night out. Some festivals like Pinkpop or Lowlands will be around, so put the dates in your very Dutch agenda! (Yes, agendas are a very popular item here, as experience will tell you). 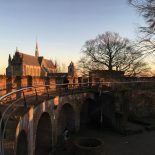 This entry was posted on October 19, 2012 by admin@theleidener in Culture, Yuri and tagged Amsterdam, artist, arts, bands, concerts, culture, entertainment, International, international student, leiden, music, netherlands, The Hague.